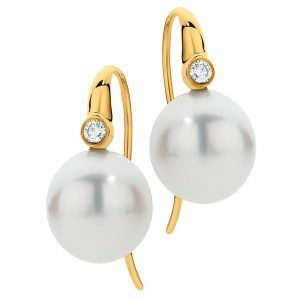 Pearls are ideal to match the colour scheme of wedding dresses, and can be worn long after the big day. Freshwater pearls in a large range of colours, luxurious South Sea pearls and Tahitian black pearls can be included in your individually designed piece. We are able to source hand chosen pearls directly from the farms of Broome and Tahiti, which can be combined with White or Yellow Gold or Platinum, and a range of coloured gemstones to create a stunning piece that will become an heirloom. With proper care, Pearls will retain their natural lustre for many years, and will be a much loved addition to your jewellery collection. Pearls can also make a beautiful gift for your bridal party. Classic pearl stud or pearl drop earrings can be made to suit most budgets and will provide your bridal party with an elegant souvenir of your thanks. Larsen Jewellery specialises in custom made Pearl jewellery, including any combination of metals and gemstones. Therefore, your choice is not limited to the selection shown above. 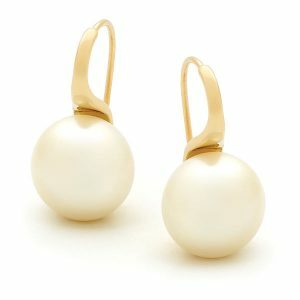 Whether you want to choose from one of our classic styles or create something completely unique, Larsen Jewellery can make a pearl item to suit any style and budget, or for a special occasion. You can use our many display pieces to help you choose a style, or alternatively, you can bring in your own ideas or pictures and our jewellers can help you design something special and truly unique. We welcome you to come in for an obligation-free design appointment with one of our jewellers who can advise you on choosing a design to suit your individual style. We can also help you understand the different qualities of pearls to ensure that you make an educated and confident choice.